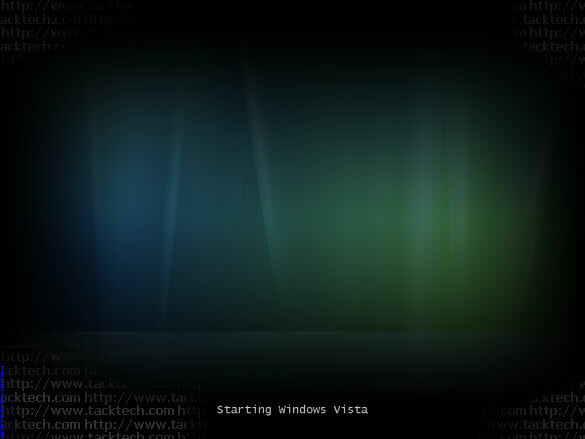 Change Windows Vista Boot Screen (No GUI Boot) (Windows Vista) - TACKtech Corp.
Change the plain default Microsoft Windows Vista Boot Screen to the Aurora Boot Screen. Launch MSCONFIG (Click the Start Orb. Search for MSCONFIG). Click on the Boot tab. Check the No GUI Boot checkbox. View the Aurora boot screen.